Roberta’s Guaranteed to Cheer You Up and Fill You Up! LA VERNE, Calif., May 20, 2017 — If you are feeling low and out of sorts and need a sure-fire pick- me-up that will get you back to your old-self again, skip the Aleve or anti-depressants and head over to Roberta’s coffee shop in downtown La Verne. 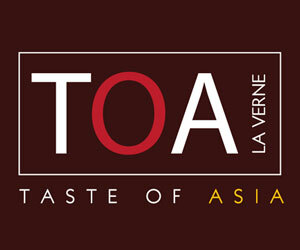 Roberta’s is La Verne’s version of Cheers, “where everybody knows your name.” Almost any time of day, but especially mornings, Roberta’s throbs with a constant buzz and continuous thrum full of clinking china and coffee cups, animated conversation and the friendliest wait staff in town. Roberta isn’t just a name that everybody knows, she’s a living, breathing, platinum-haired institution. She used to waitress, then she bought the place, then she sold it, and now she’s back, running the front office, if you will, while the new owner (for the last eight years anyway), Francisco “Pancho” Ramirez, runs the kitchen. He doesn’t quite have Roberta’s tenure. He’s only been cooking for 18 years at Roberta’s, the last eight as owner. “I love what I do,” Francisco said. When an ownership opportunity opened up, Francisco seized it but you get the feeling he loves the place so much, he’d be here regardless of whether he was the owner or the guy sweeping the floors. Meanwhile, the orders that Francisco has to fill come fast and furious, eggs and bacon, stacks of pancakes, sausage and biscuits, the Saturday $6.95 steak, eggs, hash brown and toast specials. John Normington preferred the counter on this Saturday. John Normington stops in about every other week. He was at the counter poking at a cinnamon roll before heading off to his Saturday morning workout at L.A. Fitness. He’s never been to the restaurant where he hasn’t bumped into someone he’s known and wouldn’t mind sharing a cup of coffee with. 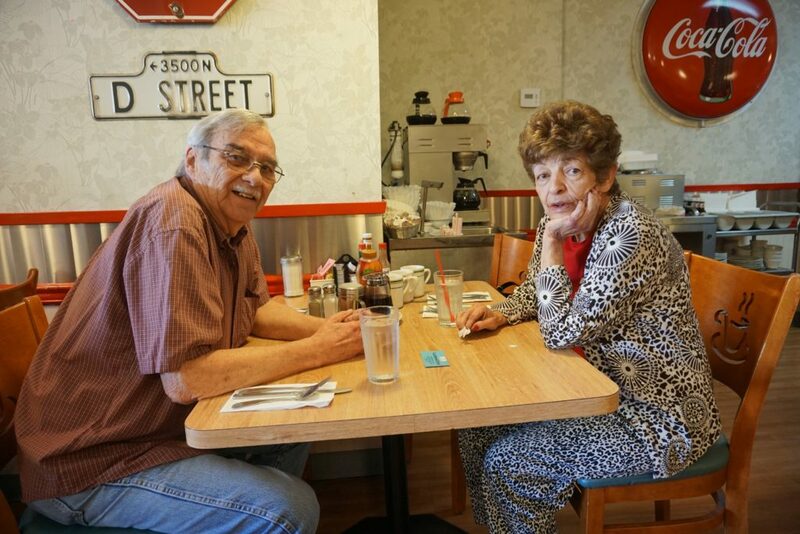 Nick Goodwin and Betty Ballarina were both seated in a booth in an adjoining dining room. Nick stuck with his usual order of scrambled eggs, sausage and hash browns. Betty hadn’t decided on her morning meal yet, but she was sure of one thing. 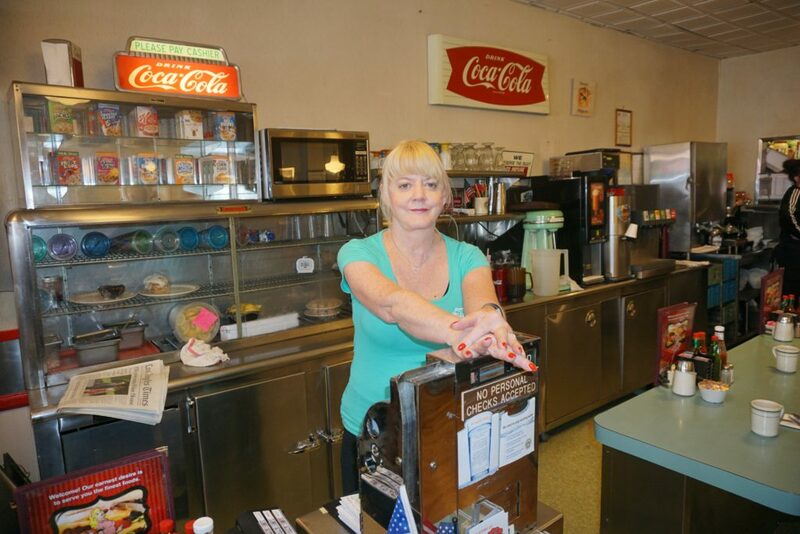 “The food is always good, prices are reasonable and the people are friendly,” Betty said. Although the crowd skews a little older, Roberta’s attracts plenty of families. 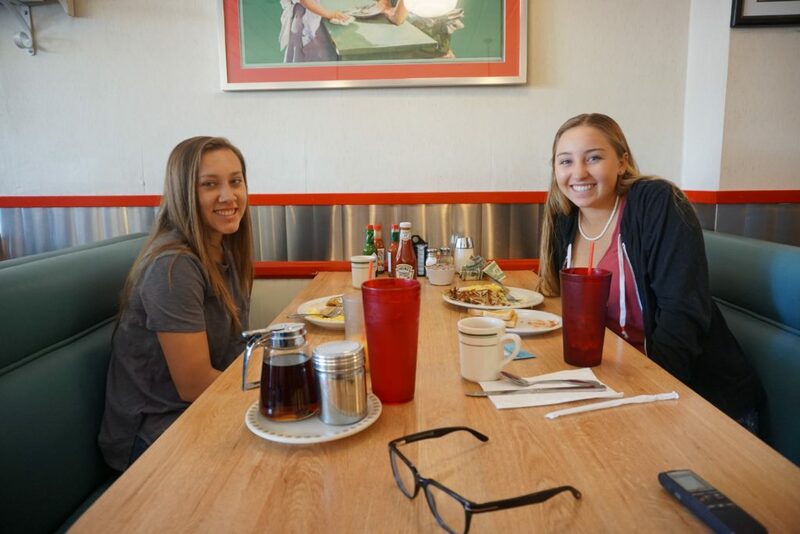 Two Bonita sophomores, Heidi and Kristen, also found Roberta’s to be the perfect Saturday meeting spot to have breakfast and catch up on everything that went on at school the previous week. Heidi enjoyed French toast, Kristen had ordered an omelet. “We’ve been coming here for a few years,” Heidi said. 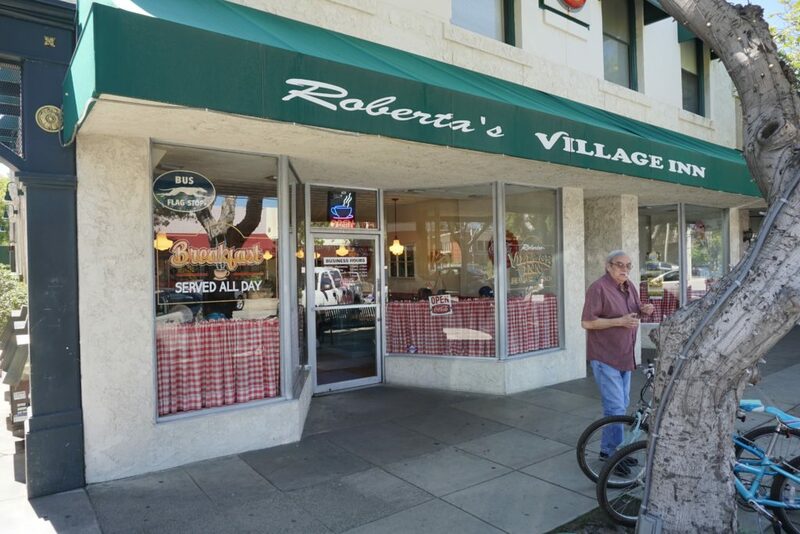 Roberta even includes younger regulars like Bonita High School sophomores Heidi and Kristen. 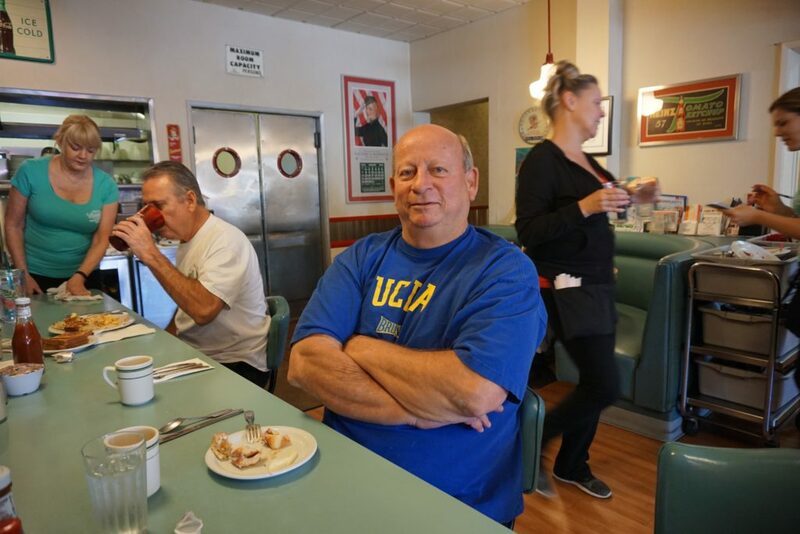 After watching several diners come and go, LaVerneOnline was sure they were all better off for the experience, secure in their knowledge that there is at least one place in town, where you can be yourself, let your hair down and quite possibly run into someone who will know your name. That should be a pretty good morning in anybody’s book. News story sponsored by Colleen Bennett, longtime La Verne Realtor, with Sotheby’s International, 909.374.4744. Nick and Betty meet monthly at Roberta’s. Alana brings the food and the megawatt smiles.